Paygol has been deactivated as a payment method as for the reason that they charge too big fee's (80%~~) in some cases so it is not worth keeping. Heaven legs first team to complete! Reward: 60 K lvls~~ , Heaven legs & +1% proteection! 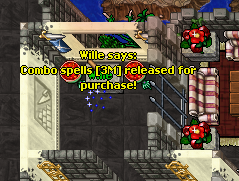 Merry Christmas Naaru from Obama! 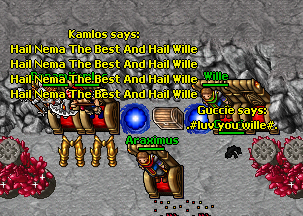 Just to remind you guys how much we like our staff Naaru on Evolera, Obama himself wanted to put the message accross. 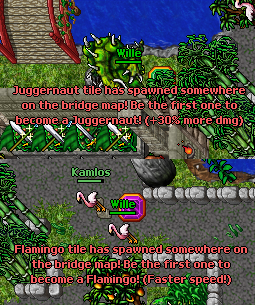 - Juggernaut temporary buff spawning at the eastern island of bridge, along with the flamingo speed buff! - Boosted rewards in the Bridge bosses, you will now experience it to be easier to get demonicas / heavens. - Heaven items has gotten a decrease in price at NPC Item seller. - Map change system, staffs can now change the theme of the bridge during the day with a simple command. - Worked on optimizing the database / scripts which caused server to lagg while there was much war. [Yet to see how much this improved the laggs during the day]. - Added [Kills,Assist,Deaths,Solokills] system! It counts all of your records. - Removed all frags for people, sadly it has to be done every month in order to prevent laggs. - 4x Bosses has been added throughout bridge area in order for you to kill to obtain demonicas/heavens/emeralds [Respawn time 20 min]. - Buffed critical damage talent. - Buffed the paralyze slightly more. - Edited color of critical hit damage.